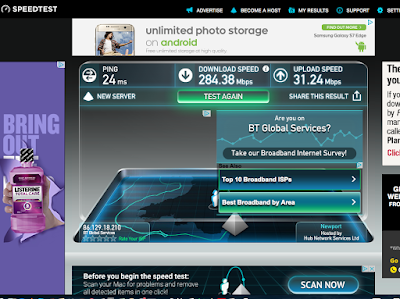 300 mbps is quite fast, especially if you live in Wales and even more so in rural Wales. 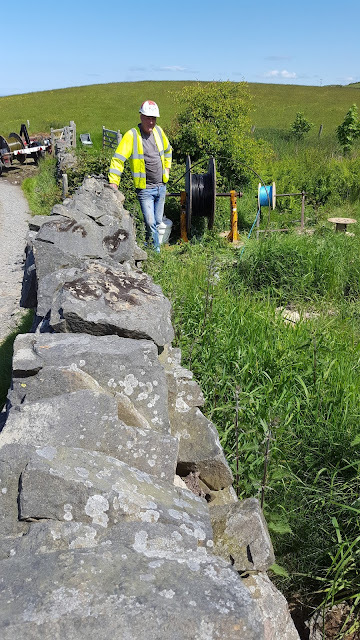 Next door (which means 550m away) and I have been told by various OpenReach engineers that to date we are the most remote property to get Fibre broadband. 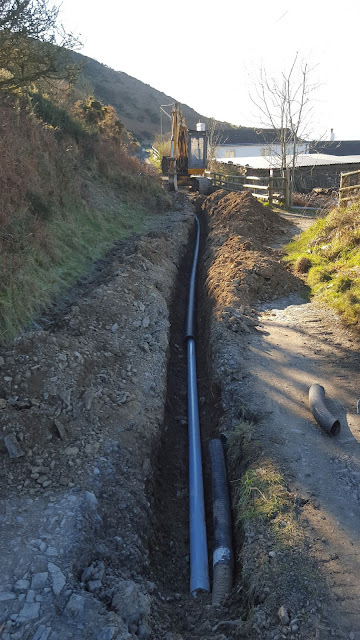 We did the civil engineering ourselves (i.e put 1.2km of duct in the ground) which probably brought the install date forward by at least 5 years. 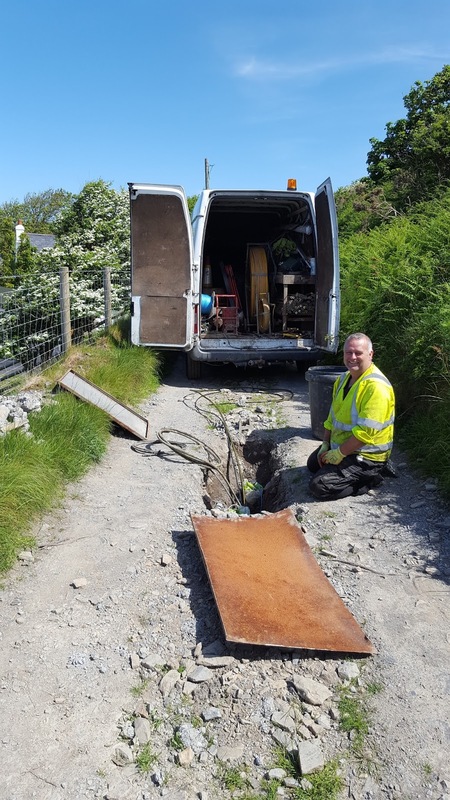 FTTP has been life changing for us, thus was have many people to thank and some feedback for a part of the Welsh Government. While this is now done and dusted for us. 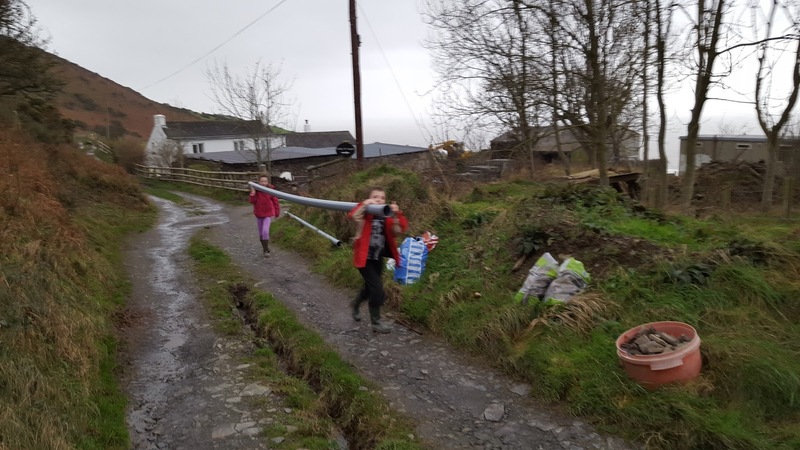 I have learned a lot (a hell of a lot) so if you are in a similar situation in Ceredigion (or rural Wales), get in touch and lets see if anything I have learned can be applied to your situation. In our case it helped a lot being willing to dig a trench and get in it to install the duct, but different models apply. If you never give up, you can't loose !!!!!! I though I would google it. It then occured to me what if someone had spoofed the web site for the Coventry Building Society and upped it rankings on Google. What due dilgence should I do? Step 1. Does Google know about it? In this case no. The info to the left of the web address say it is not secure, but does not give any ownership information. Step 2. Google safe browsing here. This is more about malware, but it shows no problem. So that looks pretty good. But I plan to move 2,000 pounds so I want a little more clarity that the account numbers are correct. Its not in the Caymen islands which is a good start. Step 5. Lets do it in reverse. Lets put the sort code and account number into google and see if what it finds looks valid. Indeed it does. I find a number of other sites which validate the numbers, not just 1. OK, the checks above are not 100% fool proof. It would be possible to spoof this, but the other side would have to work quite hard. So my last step is to look at an old bank statement and verify the account numbers are the same. I had to work hard for that money after all. How dangerous is it to be an M.P. ? I did not know the answer when I started out this statistical thought experiment. Like any other walk of life a M.P. works best when free from fear and there is never an excuse for violence against a politician more or less than a shop assistant. Sorry if this is a bit macabre, it just statistics. The UK murder rate in 2015 is 10 in 1,000,000. Assume 650 M.P. 's, then if they were average citizens then the chance of any M.P. 's getting murdered in each year would be 0.0065 or 1 ever 154 years. Since 1970 the number has been more like 1 every 5 years (fortunately Stephen Timms survived). Clearly a look at recent history since 1970 the risk is a lot greater than to an average member of the population and this does not include non-fatal attacks. So finger in the air it is about 30 times more risky to be an M.P. than a member of the public in terms of risk of being murdered. I could name some politicians (mostly starting with N.) I would like to see spend a winter together on in a small shelter on Rockall as a reality TV show, but I would not wish them any physical harm. A tangential view on the use of consultants by Ceredigion Council. I was in Boston and Iceland last week, but did see a few articles around the use of Consultants by Ceredigion Council. I am always surprised where these people pop up. I have work, on and off, with companies like PWC, Deloitte, Mckinseys and Arthur Anderson (remember them) in a multi-national company setting for the last 20 years. Most of the time we are both working for the client on projects like the NHS IT systems(blah). I am not a paid for consultant, but work for a vendor and get sent in when things go wrong or future business is at risk. I do this world wide and the same principles seem to hold worldwide. are treated as an attack (much like a large wedge of political types). Such consulting firms add value if you want specific advice, for example how to buy a derivative contract to mitigate financial risk, how to reduce a tax bill, changing a pension scheme, audit or M/A type of events. The bright ones are involved in the accounting side or helping clients avoid tax. For specific well bounded tasks such consultants are invaluable. They seem OK at improving business process when set specific well defined tasks (they get the ideas from existing staff) and very poor at architecting solutions or building software. why Ceredigion council have hired PWC to back up bad news that exec management and the councilors don't feel empowered to effect. 2. PWC et al recycle what they saw as good practice in the last place they visited. The report is a rehash. The need for outside consultants is usually a sign that you have weak management or the exec level don't trust them. PWC et al can't get close enough to a business(whatever it is) in a few weeks to really understand where the savings are. 3. They redistribute cost. They move cost from one column to another. There is no net saving, but on paper to those who don't think and look a little wider will accept it on face value. So if the council moves cost to an other public service, say the NHS, there is no saving. The council has a moral duty not to do this, PWC et al have no such duty in pushing a council to do it to get a fee. I suspect the parking suggestion falls into this category. PWC et al take their cut, so there is a net loss to the system (think Ceredigion local ecosystem). 4. PWC et al are strong on management theory but less strong on implementation. What works in a MBA text book may or may not transfer to the real world. They are better at setting success criteria and writing contracts than you are, so they always win and they base their business model on it. Council(like any other) exec-management love it as they are not responsible and councilors(or company board) typically are not as experienced at playing this game, so find it hard to give both the appointment and subsequent proposals proper scrutiny. So my summary of just under 20 years of interacting with PWC et al suggest that buying such generalist services in an attempt to save cost will get the muppet that was on the bench (corp. speak for employee that has no work), they will write up what you tell them and steal a bit from the last job they did, taking a fee out of the Ceredigion eco-system. Its unlikely to be a great outcome. If the savings were tangible, I suspect the FOI, from the paper that sometimes, maybe, makes things up, would have been successful. This week 2 sub-contractors to Openreach were putting in FBT (Fibre Blown Tube) and new copper cable(if you have seen the state of the old one, new copper makes sense for the existing phone connection) into the 1.2km of duct Tony and I put in 3 or 4 months ago. They did comment that it was easier for them to get the tube and cable into the duct we did than for work done by "professional civils contractors" who put duct in for a living. Ego suitably massaged. So if I count right 8 more steps to functional FTTP !!! There may be an additional step where a lack of capacity (for what I am not sure) needs to be addressed about 2 miles away and a road dug up for new duct to be put in. Not sure where this is. Possibly more difficult than all the above will be the admin side of getting an order opened. This is a guest posting by Rowen. 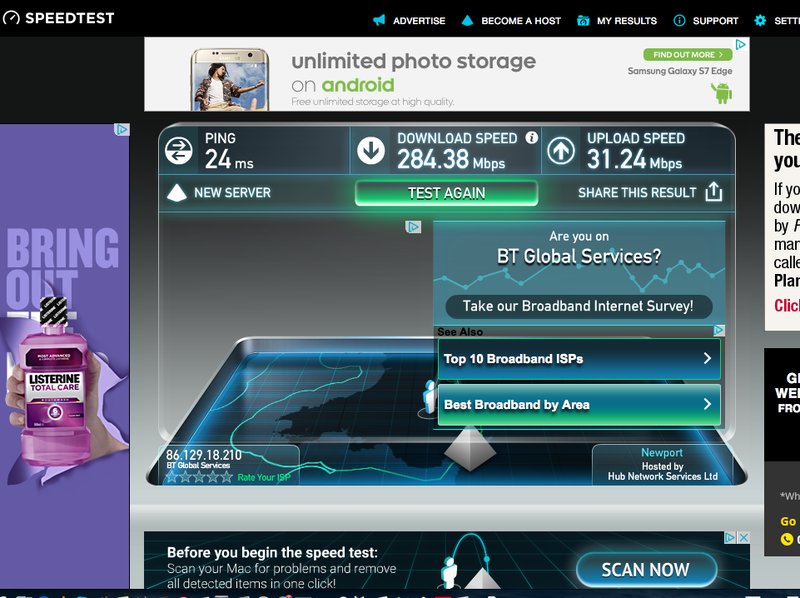 Readers may be aware that we have terrible phone and broadband. 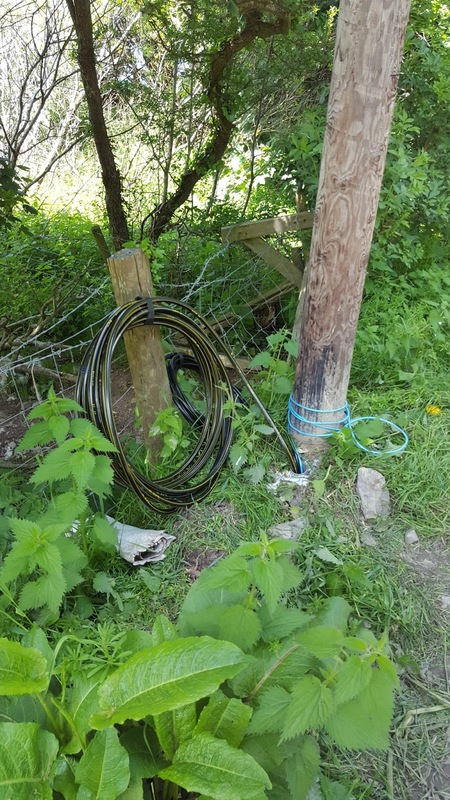 We can be without a phone connection for weeks and Broadband is very slow and unreliable. For example we can't watch Youtube as the connection is too slow and I can't use it for school work. For our neighbours its even worse. Dad has a 3G connection for work and sometime we use that. Part of the problem is that there is a 30 plus year old cable that is cable tied to the bottom of a fence, the cable is designed to be underground and it has pershed in the sun over the years. Existing connection to our neighbour !!!. 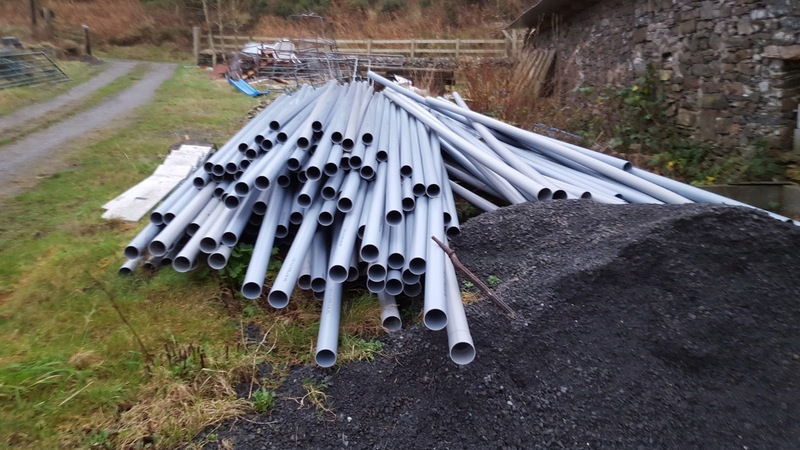 200 pipes we used to put in the middle of our track. 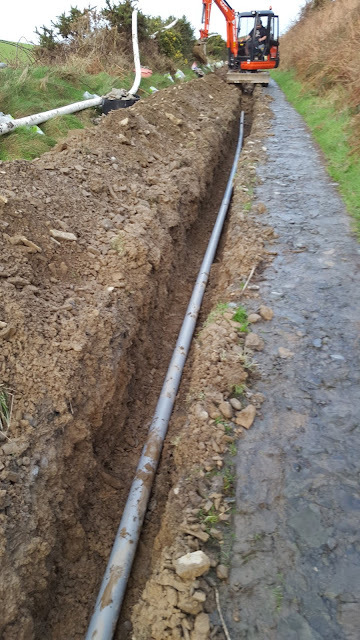 Thanks to the wonderful Ian and Andrew from OpenReach, we now have underground duct all the way from the last phone pole to our house (abut 0.5km) and then down to our neighbours (an other 0.5km). 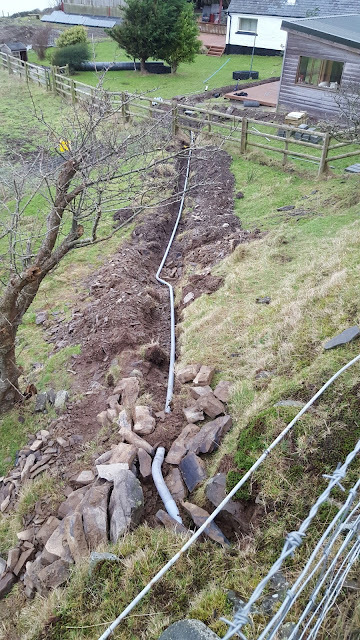 OpenReach provided the materials and sorted out permission with the next door farmer to dig up the track. Dad and Tony put the pipe in. Sponge and his digger helped Dad in the week between xmas and New Year and Tony and his digger driver finished their section last week. Me and my brother carried duct along the road. 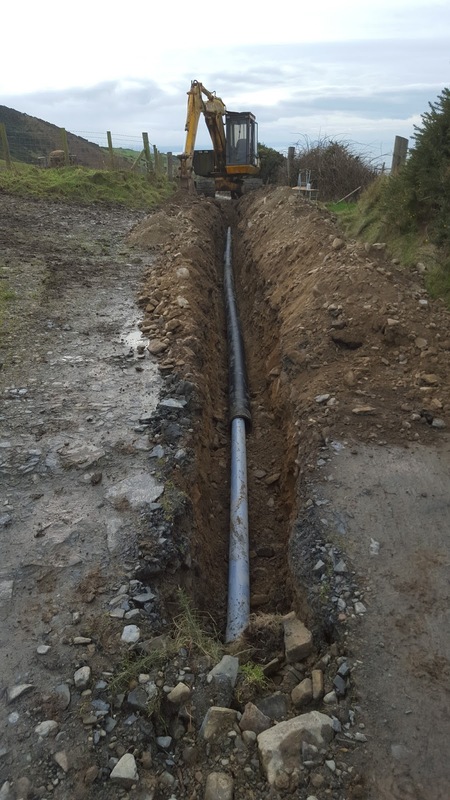 Pipe running though our field back on to the road. I joined the British Computer Society in about 2010 to do University Degree scheme accreditations. I had to get CITP 1st, at that time the membership fee was just about reasonable. In 2012 I was invited on to the Accademic Accreditation Committee (lots of professors and 3 or 4 industrialists) and had a great time accreditaing University Degree schemes and meet lots of great people and added some value so I am told. I think I am right in saying that I was 1 of 2 industrialists left on the A.A.C. now. It took between 10 and 12 days of my time a year between visits and reading the submission, but I found it rewarding and I believed it was worthwhile. Work was very flexible, but I still had to make up the work time lost to visits out of my own time, which is fair enough in my book. where wages tend to have been static in the IT industry for most of us. Being asked to pay 230 pounds to volunteer for an organisation is a bit over the top. I don't get *ANY* benefits from being a BCS member. If you want to go, then please go rather than stay and be miserable. Is it standard BCS practice to undermine the sense of self value of members who dare to question the level of fee's, but in my case it failed, it just annoyed me and persuaded me not to renew my membership. Being an Academic Assessor requires being CITP, so I also had to resign from the AAC which I would rather not have. I would probably have found the money if Mr Evans had decided not to play nasty games, but it became clear that volunteers and the process of Academic Acceditation is not held in high regard by some senior BCS staff, is there some internal political game going on in Swindon? no idea. For a subset of senior BCS staff, volunteers don't count for anything, but I have got back at least 10 plus days a year of my life and have no intention at all to be miserable. All a shame. The BCS should be a very worthwhile organisation, it does some great work in education, but I am far from alone in thinking it has lost sight of its membership and those who volunteer. I would hate to see it being an organisation composed of retired academics and self serving industry lightweights, but that seems to be the current direction of travel. The Beatles were less plastic in their performace, hence the 1979 choice instead. The uncle of the Louise Hopkins was walking down the coast path today. The weather was terrible today and we got chatting, he told me about his impending hip operation and also about the very recent death of his niece which I found documented online here and here. Terribly sad. The uncle said that she had run out of fuel, that she tried to use her mobile phone to call for help, but the mobile network she was on was down and hence felt she had to walk. The man mentioned in the article had special needs and was unable to do more than follow instructions. There was also a child there. A courier van had hit her with a wing mirror, but the uncle at no point suggested blame on the courier. is not the case any more. Many drivers would run someone in distress over rather than take the risk of stopping, the culture has changed, you can't reply on other people being willing to help, though of course many will. There is no longer an implied duty of care to other motorists. 1. Louise should have felt she could have called 112 (lots of people don't know it exists) and got help, even if it was only to call the AA/RAC or her family. Time for public information films again maybe. I feel I could not call 112 in that situation without getting a ballocking from plod, though I may be misguided in this. 3. Mobile phone networks should be seen at safety critical infrastructure that is fault resilient. 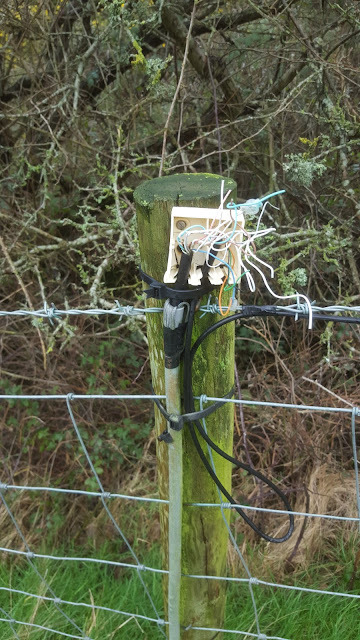 If it fails, the operator is subject to fines for extended outages and must report on the failure and remidial action to OFCOM. Would any of the above made a difference in this case? Maybe. Still very sad. 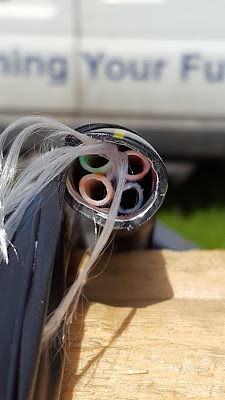 I have posted on this before, but this Thinkbroadband posting got me thinking again that it is a bad thing to have Councils, elected officials and employee's insulated to a large extend from what the market provides. If for example they had single redundant links similar to that provided to residential customers into a building, you would be sure that Openreach would be put under a lot of pressure to provide reliable symmetric 1GB to every Council office and that would improve the general fiber infrastructure. Things have moved forward with these babies being connected up. They are called 32 way tray fibre splittes. The nearest is about 400m away. 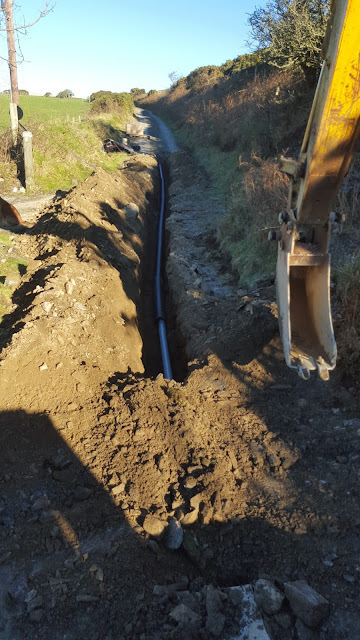 We are not there yet as there is 274m of fiber to be put in under a field (thanks Roadworks.org) and the far end needs to be connected in Llanfarian, but progress is very clear, though the end result remains far less so. However the sticking point is the last 300m. They choose not to put one of these boxes at the end of our lane, even though it serves 2 houses, ours is no further than the distance between an other box and a farm. Will they just run from the lovely green box above? Can I get sane answers to what is for us a very important question, of course I can't. Who is reading this where? List is not in order and does change over time. Lives in Mid Wales and makes a habit of picking challenges for which he is not genetically predisposed, but seems to accomplish them.